I’ve never had a good universal answer. The real answer is to get an expensive grinder1 and an inexpensive AeroPress, then brew freshly roasted beans and drink it black. Anyone with enough money can buy the equipment, but most people don’t have a good source of freshly roasted beans. Very few people live within a convenient distance of a coffee roaster, and even for those who do, the nearest roaster might not be particularly good: it might roast poor-quality beans, or it might roast them much too light or dark for your taste. As coffee goes, this is very expensive. But for high-quality, freshly roasted, mail-ordered coffee, it’s competitive: ordering a similar 12-ounce bag from Stumptown runs about $23 after shipping. No good mail-order service will compare well to buying it locally: Tonx is effectively $25.33 per pound, while I’ve rarely seen beans at local roasters priced above $16 per pound. But even “expensive” coffee isn’t completely out of reach: if you use 15 grams of beans per cup, a cup brewed with Tonx beans only costs about $0.84. 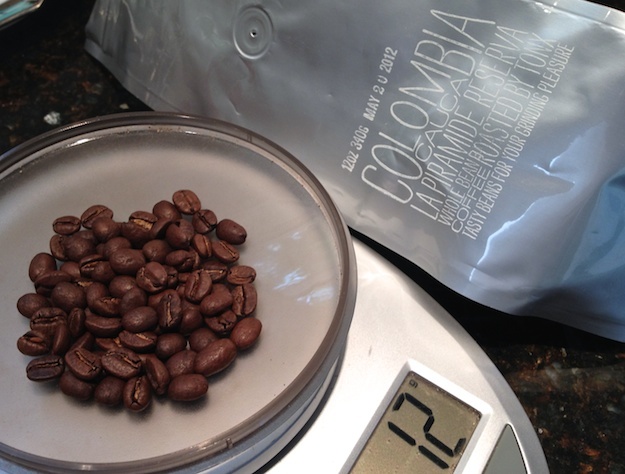 By comparison, $16-per-pound local coffee is about $0.53 per 15-gram cup. We’re not talking about a lot of money either way. Since I signed up on February 1, Tonx has been very consistent: they’ve sent very good coffees reliably every two weeks, and I usually get them about 3 days after they’ve been roasted, since they’re sent via Priority Mail from Los Angeles. Left to right: A local roaster, Tonx, my home-roast. Tap to enlarge. I’m not qualified to tell you exactly what roast level they use, but my home-roast above is between City and Full City.4 Maybe their roasts are a fairly light City. 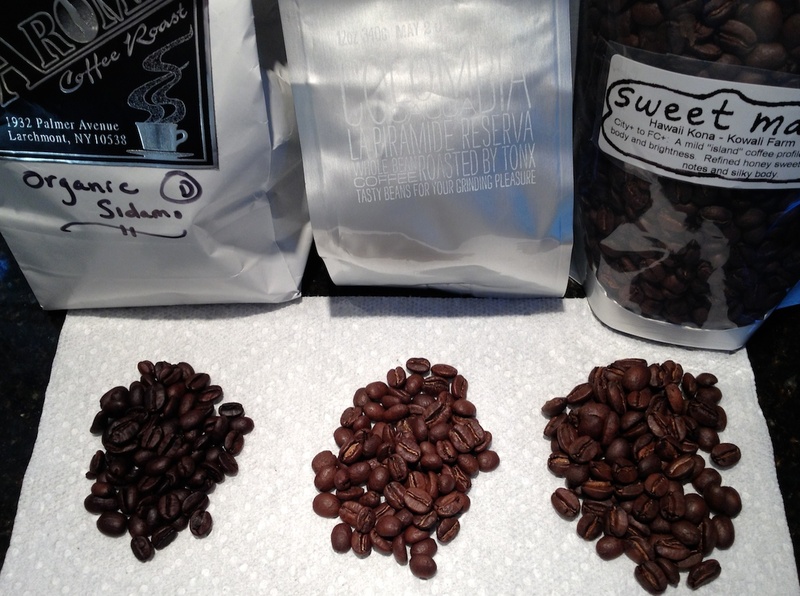 Regardless, I like it a bit darker, but I think most coffee nerds would be very pleased with their roasts. Their customer service is excellent: my first shipment got misrouted by the USPS and was going to be almost a week late, so they sent me another one, expedited, at no additional cost. That was the only issue I’ve had to date, and they handled it extremely well. Tonx is a great option if you want great coffee delivered to your house without having to think about it.